Whoa - I was able to impress my kids. As any parent knows, or shall I say, a parent who is more interested in being a good parent than a good friend to their children, this is rare air. And for about 5-10 seconds, the duration of their being impressed, I took a deep breath and held it in as long as I could. ahhhhhhh. Exhale. The idea for Facebook came from his days at Phillips Exeter Academy which, like most colleges and prep schools, had a long-standing tradition of publishing an annual student directory with headshot photos of all students, faculty and staff known as the "Facebook". 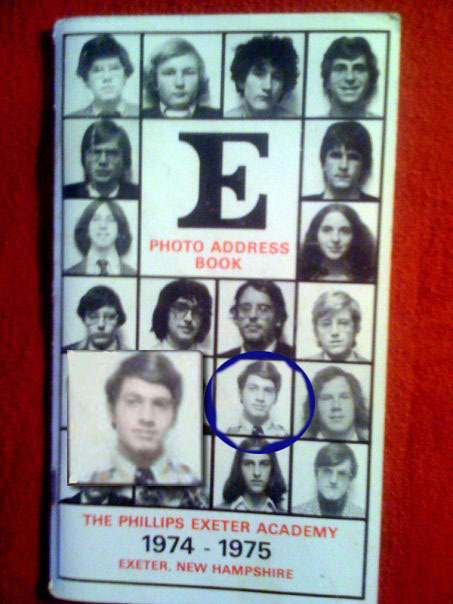 The truth is, when this old dinosaur went to school at PEA, the Exeter address book was a somewhat new idea. Printing costs had come down, and the concept of an in school address book became a reasonable idea. 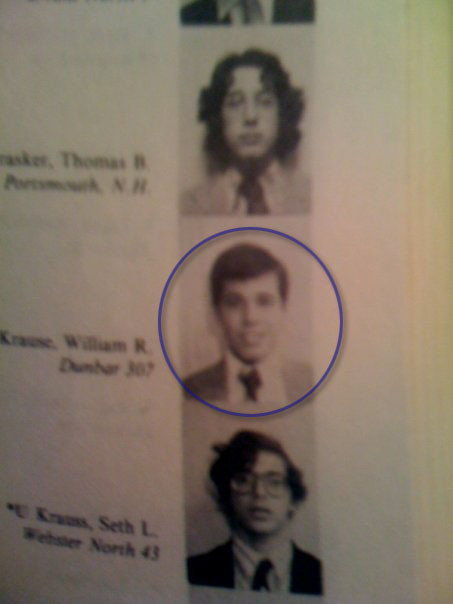 Thanks to my buddy Whit from Dunbar, I saw this primordial homepage of Facebook from 1974-75 (pic). Back then, we called this - a cover, not a homepage, but that is just semantics. And much to my surprise, whoa - my brother was on the homepage of facebook! And in case you were wondering, my blessed little offspring of nematodes - back then computers looked like this. The year I was born, Jack Kilby and Robert Noyce invented a really fancy thing called an integrated circuit. Noyce founded Intel - which was a new company in 1968. Here's a one minute video history lesson of modern computers- I am certain will leave you laughing, especially that super nifty GPS Garmin wanna be thing in the car. And once again, thanks to my buddy Whit - I was able to prove my claim, that I was on Facebook well over a decade before the founder Mark Zuckerberg was born. I mean, even to kids today - a picture is worth over a thousand words. Sorry about the focus, but Whit just snapped a quick photo with his cell and uploaded to Facebook using an application in his phone. So my dear, sweet, precious children - I am getting old, and still have every intention of living long enough to be a burden to you... but I ain't THAT olde... yet.